In New Jersey, a charge for the traffic offense of driving while intoxicated carries with it serious penalties. These penalties vary depending on the number of times a driver has been convicted of the offense, what the circumstances were and the level of alcohol in the blood. Drivers who are charged with DWI don’t have options when it comes to a plea bargain because plea bargains are not allowed with DWI charges. There are situations in which the prosecutor will be able to reduce the charges, but it will not be through a plea bargain. The defendant must hope for his or her attorney to find a way to win an acquittal. There are many ways in which this could be accomplished including pursuing a defense based on the DWI stop being made improperly by the law enforcement officer. After a DWI stop is made, the officer will speak to the driver and ask for the driver’s license, registration and proof of insurance. When this is being done, the officer will look for clear signals of intoxication including slurring words, the smell of alcohol and bloodshot eyes. Once these have been established, the officer will ask the driver to submit to field sobriety tests. These will include the Walk and Turn test, the One-Leg Stand test and the Horizontal Gaze Nystagmus test. If the driver still exhibits signs of being intoxicated, the officer will ask that the driver take a breath test to determine the blood alcohol content. A driver is not allowed to refuse to take a breathalyzer test due to the law of implied consent that any driver in New Jersey is subject to when driving in the state. If the driver refuses, it will lead to a charge of refusal. This charge will be levied whether the driver had been drinking or not and its penalties are similar to those for a DWI conviction. When the breath test is taken, there will be an arrest for DWI if a driver 21 and over registers 0.08% or above. For a commercial driver, the level is 0.04%. For a driver under the age of 21, it is 0.01%. If there is a conviction for first offense DWI with a BAC of 0.08% and below 0.10%, the driver will face numerous penalties. These will include a driver’s license suspension of three months. There will be a surcharge of $1,000 per year for three years. A fine will be for between $250 and $400. There will be a $230 fee for the Intoxicated Driver Resource Center (IDRC). $75 will go to the Neighborhood Services Fund. $100 each will go to the Alcohol Education and Rehabilitation Fund (AERF) and the drunk driving fund. There can be up to 30 days in jail. The penalties are more significant if the offense is, for example, committed in a school zone. With subsequent DWI penalties, there will also be increasing harshness of the punishments. One of the ways in which a defense attorney will try to gain an acquittal is by examining the way the traffic stop was conducted. 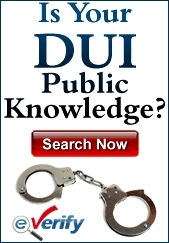 This why it is important to know how to handle DWI stops. Contrary to what many believe, the police are not allowed to make a traffic stop on a whim. If it can be proven that the traffic stop was made improperly, it can go a long way to getting an acquittal. A police officer must have probable cause to make the stop. This means that he or she must witness a traffic infraction and believe that the driver is operating the vehicle under the influence. Examples of probable cause to make the traffic stop can include: failing to signal; driving at excessive speed; driving recklessly; causing damage; driving erratically by swerving and changing lanes dangerously; and not using headlines when they’re necessary. There are other reasons to stop a vehicle as well. For example, if there is a broken headlight; no license plate or expired license plate; broken windows; broken or malfunctioning taillights; and defective tires. If there is no reason for the stop to have been made, it is possible for the attorney to use that to invalidate the entire investigation after the stop. If the driver believes that the stop was made wrongly, then it is important to express that to the lawyer. If the reason given for the stop was a broken taillight and the driver had recently replaced that same taillight, it can be a means to show that the officer made the stop improperly. 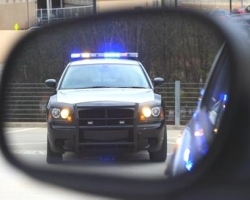 It is not a guarantee that the charges will be dropped even if the traffic stop is seen to be made in an improper way, but it is possible for a lawyer to use that as a means to get the charges reduced or dropped.